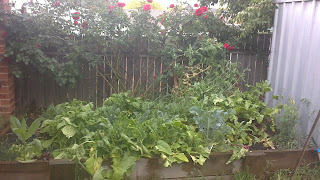 This is my vegie patch. It is overflowing with spinach, beetroot and broccoli. There are snap peas climbing up the back and sage about to flower. The red rose above is just bursting into flower right now. I think I need another vegie patch. One is just not enough! I just love it! 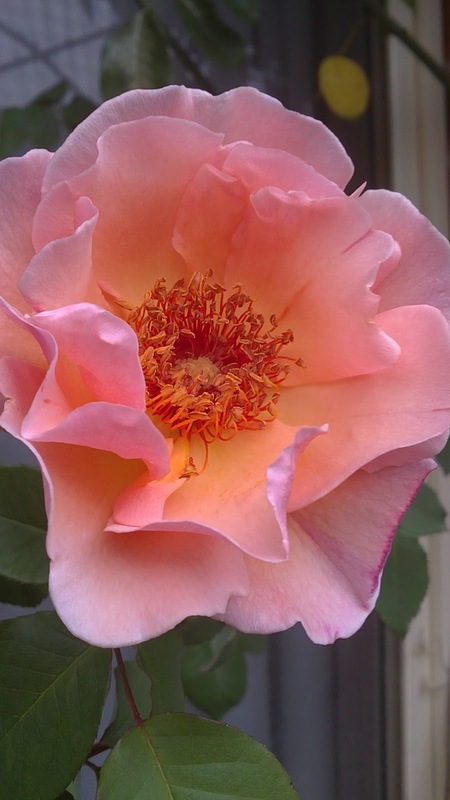 I have so many roses coming out at the moment, but this one called "Meg" is one of my favourites. It seems to radiate it's own light! This is such a gorgeous time of the year for the garden! I'm spending a lot of time just looking, waiting and appreciating the changes and growth happening all around! Of course, I've still been knitting up a storm, focusing mainly on the Madli still. I've been looking at studying again lately. I'm contemplating a degree in visual art online part-time with Curtin Uni. The course looks totally awesome, just not sure if my old brain is beyond such a task. I would major in textiles -of course!